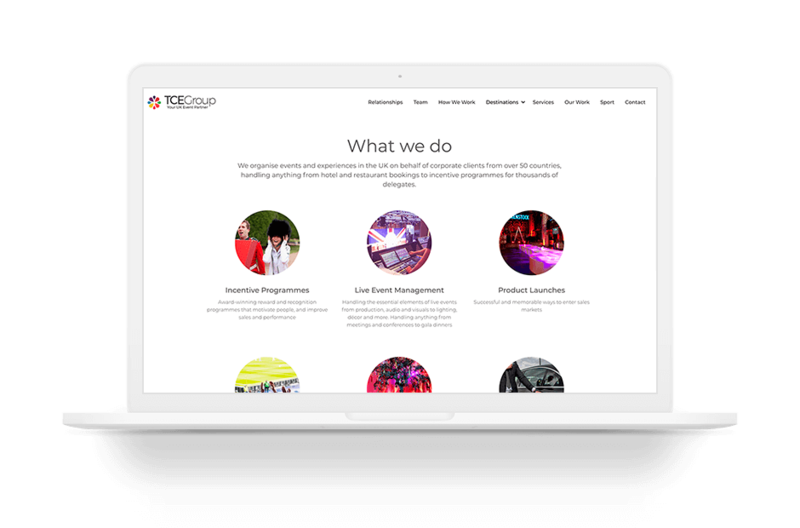 TCE Group is an event management company that excels in planning corporate visits to the UK and delighting people at food festivals across Britain. 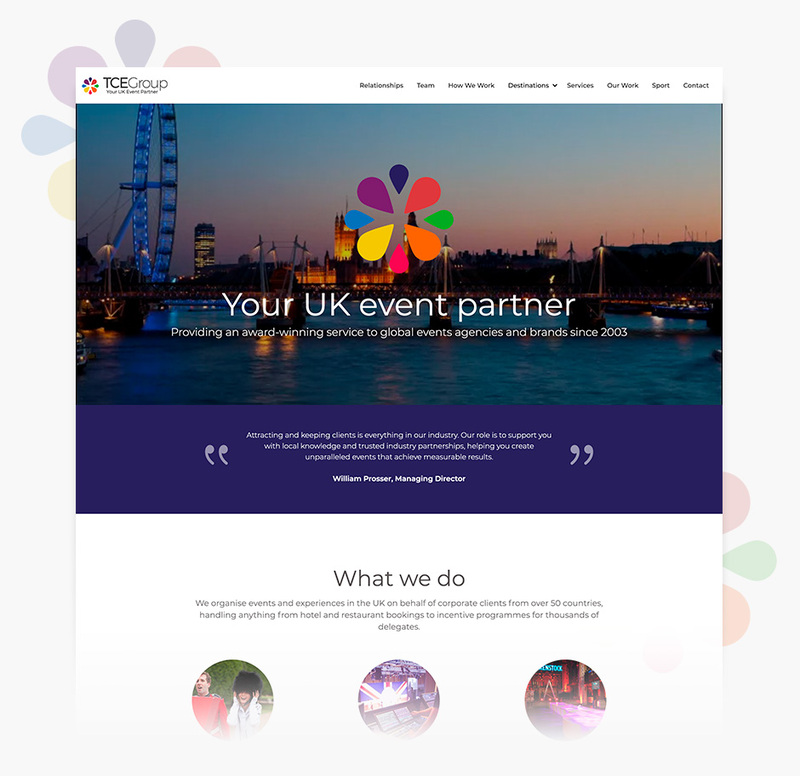 Providing an award-winning service to global events agencies and brands since 2003. 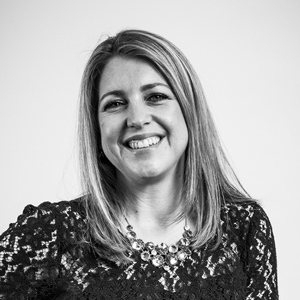 They are super professional, great at client communication and very reactive to the needs of our business. A pleasure to work with! 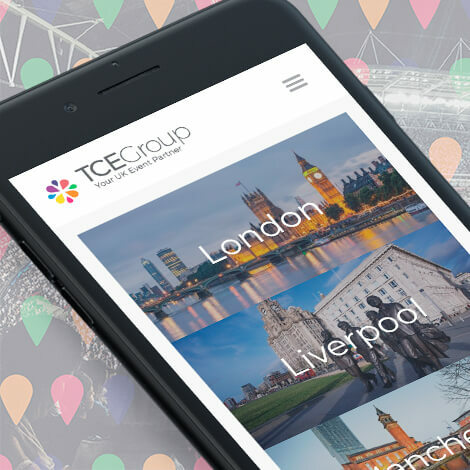 TCE Group required a complete brand refresh, from the primary identity to branding for each of the destinations they operate in. We also needed to create a new website to reflect the rebrand and appeal to a growing audience around the world. 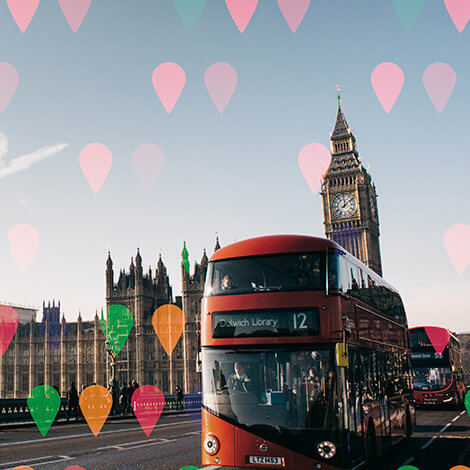 With destination management being an integral part of the TCE Group’s offering, we decided to use a map marker as the primary symbol for the brand. 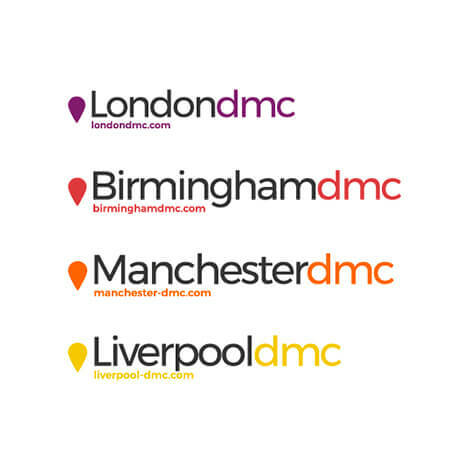 A unique colour for each destination left us with various map markers which we combined to create the master motif for the TCE Group. 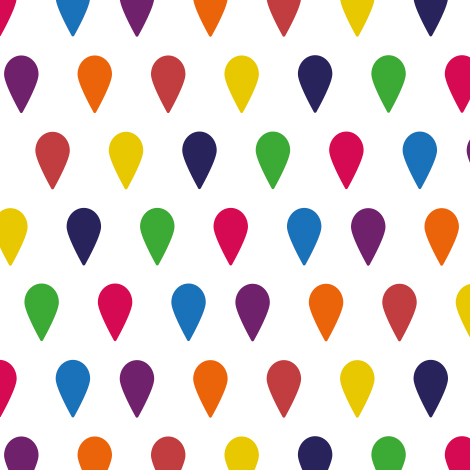 We also used the map markers to create various patterns for use across brand imagery. We created a simple, clean website to reflect the brand values and appeal to a global audience. TCE Group has an identity and website to be proud of. We’ve seen an increased engagement level on the website and TCE has been receiving great recognition regarding the new identity. We continue to work with the group on a weekly basis - long may that continue!